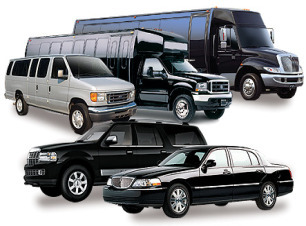 Our fleet consists of sedans, SUV's, stretch limousines, passenger vans, and luxury executive vans. Through our national affiliates we can arrange for "mini-coach" and busses, seating from 26 to 55 passengers. Sedans - Luxury Sedans seating up to 3 passengers. 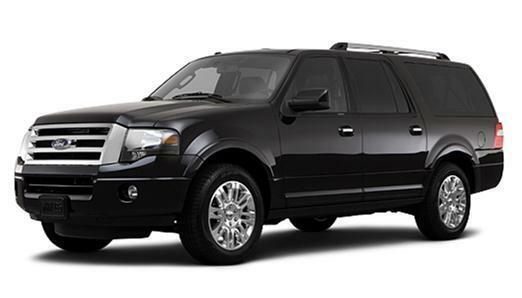 SUV's - The full-size, 4WD SUV seating up to 7 passengers is the essential vehicle for mountain travel during inclement weather. Stretch Limousines - With our fleet of limousines we can accommodate any and all of your special events. 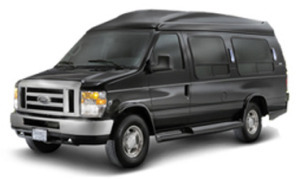 Passenger Vans - For larger groups from up to 14 people without luggage and up to 10 people with luggage. These vans are perfect to run shuttles and/or use for cargo vans. Luxury Executive Vans - For groups of up to 9 people we offer these luxury vans with comfortable high back seats. Mini-Coach/Busses - Through both local and national affiliates we can arrange for bus transportation for up to 55 passengers per vehicle.